Two horrific incidents took place in Lahore today. First, the blasts in the busiest of streets – Hall Road frequented by thousands of people. The moral brigade had been objecting to and threatening the shop-owners against selling CDs, DVDs as they somehow lead to decline in morals and of course challenge puritanical worldview held by the Islamists. 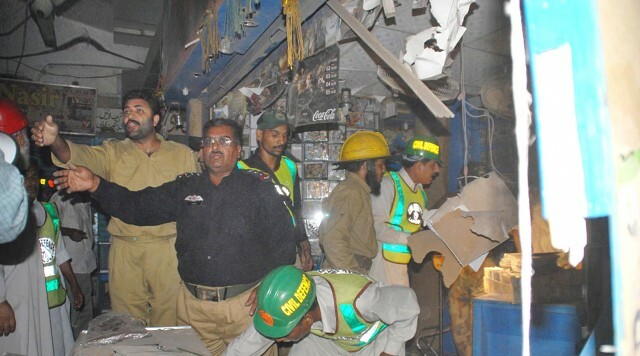 Now, a warning was sent through two low intensity blasts which left many injured. Lahore’s Talibanisation nightmare might be turning into a reality. Second, the famous Shezan brand is under attack – the reason: it is owned by an Ahmedi. After killing them in the villages and their places of worship, their right to engage in commerce (a basic right by the way) is being violated. This persecuted community has never been targetted so badly in the recent years. 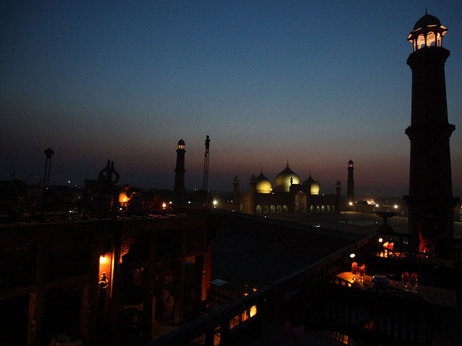 Lahore – a peaceful, towering cultural centre of yore is now under direct attack by retrogressive forces while the Punjabis continue to deny the existence of religious extremism in their midst. When will we wake up – once the city is destroyed? Markets, mosques and roads are becoming unsafe while we sit and watch the reality horror shows in our homes. How long will the homes be safe?